Valet parking is complimentary when dining at the restaurants. 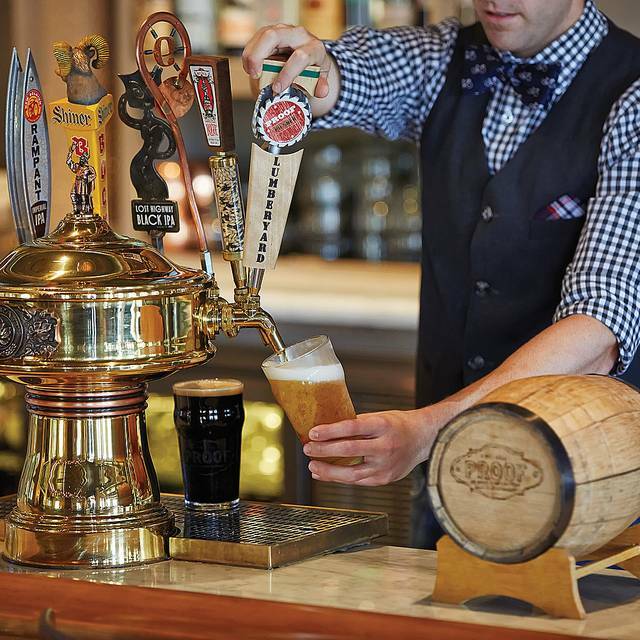 tapping into the nation’s rich heritage and the historic days of Route 66. 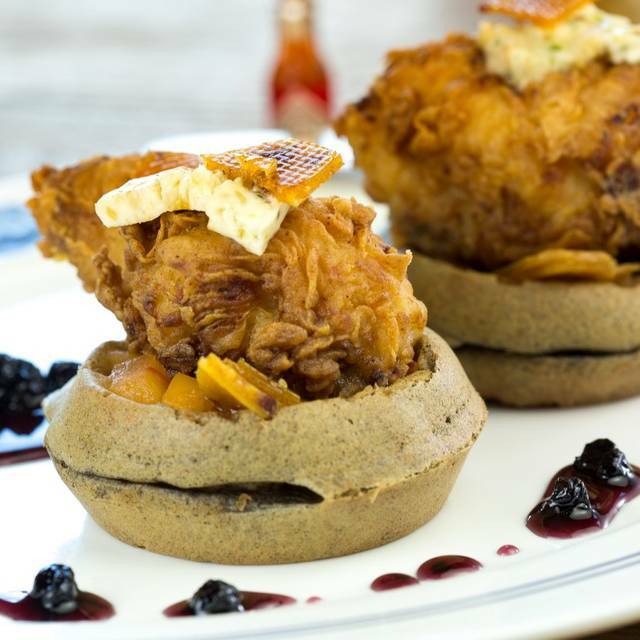 Enjoy breakfast, lunch and dinner in this relaxed American canteen, featuring menu items such as fried green tomatoes, shrimp po’boys, and chicken and waffles with bacon and bourbon syrup. 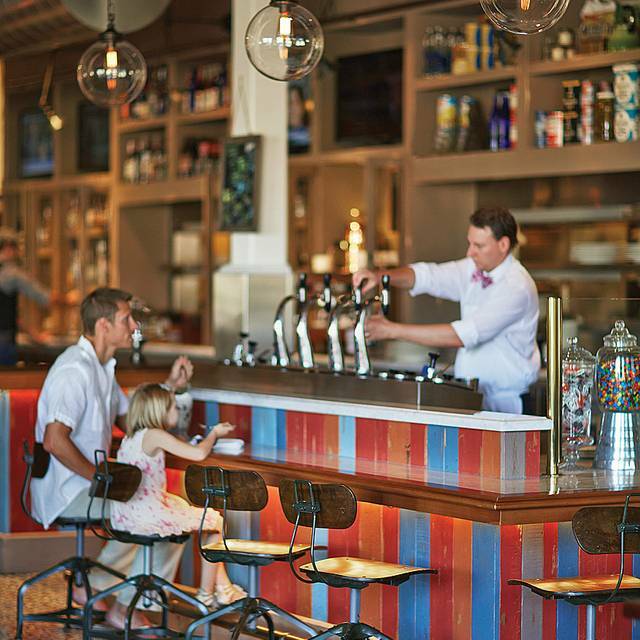 An old fashioned soda fountain serves up nostalgic milkshakes, or guests can order a hand-sliced sandwich or charcuterie board at the counter. The Proof speakeasy bar highlights small batch and craft distilled American spirits, with an emphasis on bourbon and whiskey, as well as wines from across the United States. 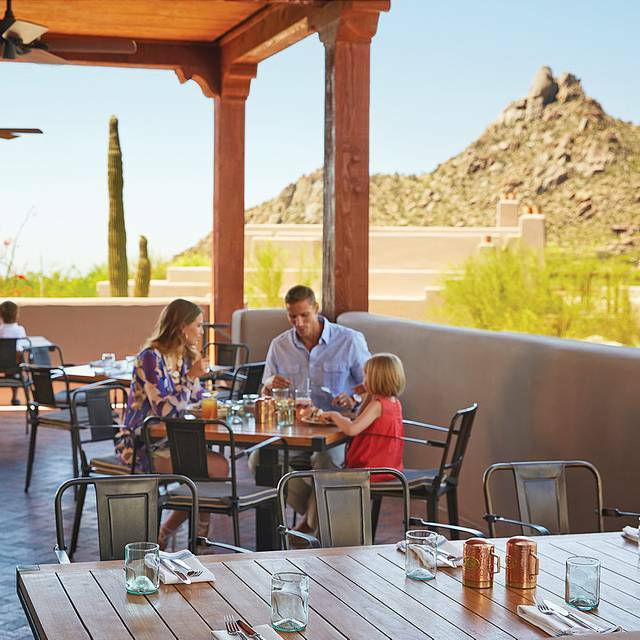 Guests can take in the outdoors from every angle with walls that open to views of Pinnacle Peak and extensive patio dining. 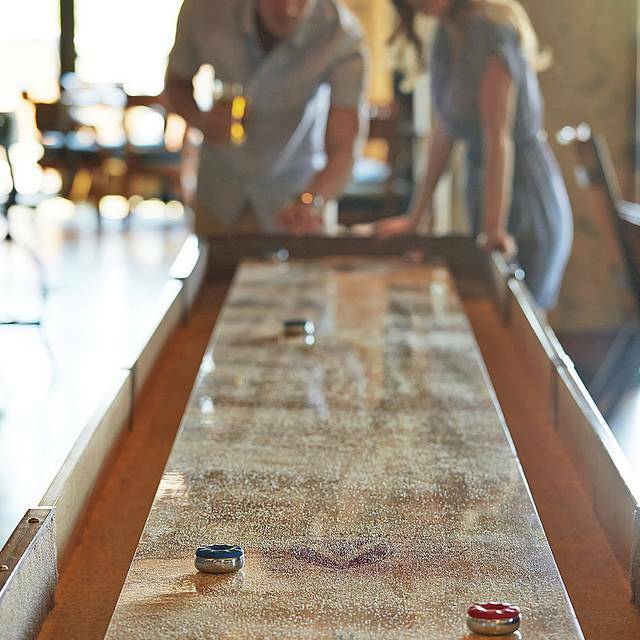 Televisions, games and a bustling bar bring buzzing energy to the restaurant on a nightly basis. Join Proof on a bona fide road trip across the U.S.A! We'll visit a new region each month - specials change every two weeks! 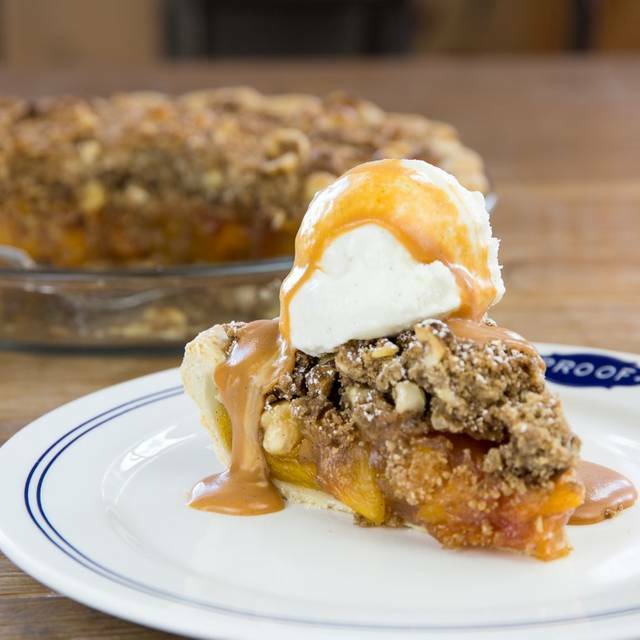 Treat Mom to a great day in Proof Canteen this Mother's Day! We'll have an enhanced breakfast buffet from 7a - 1p. $42 adults, $20 kids. Reservations available for parties 8+ only for breakfast & brunch. 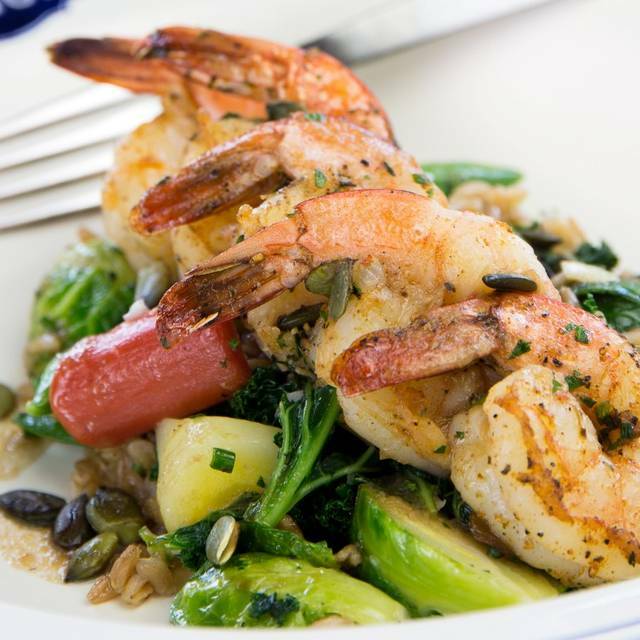 For dinner, the culinary team has dinner specials in addition to a la carte menu options! Service and food was great. We eat on the deck. The only negative was, it was dark on the deck, you can’t see the menu good. Delicious, juicy burgers at the bar. Tons of flavor and the service was great. Wonderful selection of beer and great ambiance. Live music at 6pm in a dining room- too loud. Destroyed our conversation. Start it later in the evening. I’m glad we tried out Proof. Everything about it was great. Everyone was very friendly, the food was great and the service excellent. There were six of us and everything was top notch! It a fun energetic place. The noise level is a bit high at times but never a real problem. I would definitely recommend it and we will Absolutely go back. Lobster roll, while pricey was delicious. Room was noisy and conversation was hard. Service was great. Would sit outdoors next time. Enjoyed the views. While service is very good, at times it became overwhelming with many different staff checking on table multiple times asking the same questions. Portion size for the price was biggest complaint, especially the ribs. Our server was amazing! Extremely knowledgable about the menu and alcohol selection! 2 top tables were closer to each other than I would prefer so very little privacy as you can hear everything being said at the tables next you. Dessert menu is to die for. I never thought I would complain about this but the food came out way too fast. Almost felt like we were being rushed. A truly fabulous evening in a picture perfect setting! Great ambience and food was delicious. Our server Giovani was exceptional and made the experience even more special for us! Wonderful waiter but average meal. Brought a "birthday cake and ice cream for my friend's birthday and then charged for it!--we did not order it and assumed it was complimentary. Did not want to get into an embarrassing discussion in front of my friend so I paid for it but will not go to this restaurant again. Giovanni our server is the best server/aficionado on all things bourbon and food. Well worth the price tag! Make sure you ask for Giovanni! Really great staff. The host was able to get us in a bit earlier. The bartender was very nice and took the time to talk to us. The waiters were all friendly and welcoming. Overall very nice experience. A lot more kids than expected which is fine but thought there would be less for the time we went. Amazing! And so different than the rest of the property. It was truly one of a kind. Wine list not very good. Food choices limited. We like the restaurant but they need to figure out some noise reduction. You can't have a conversation because the sound just bounces. Great ambiance and bar with some great mountain and sunset views. Had the bbq chicken that was recommended by the waiter. I was concerned it was going to be smothered in bbq sauce but came out perfect Started with the Oysters Rockefeller and it was perfect. We loved the atmosphere! Great spot! We were impressed with our server! He had lots of knowledge of the food and in particular, wine and liquor! Very disappointed on the salmon dinner. I asked for it to be well done and it was literally so crisp that I couldn't eat it. Both brussels sprouts and cauliflower were crunchy and not edible either. Expected much better from this restaurant!! Relaxing, delicious dinner. Our out of town guests were impressed with the beautiful Pinnacle Peak scenery also. The service was fantastic. We keep returning every other week ! Great service, great food. Go on Friday nights to hear Jared play while dining. Amazing talent. 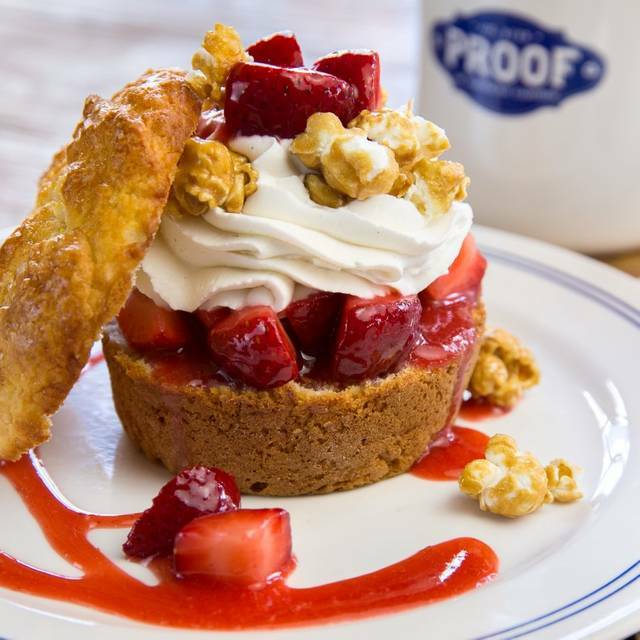 Proof has the best brunch Buffett in the valley! The service is excellent, the variety of food is superb and the views of Pinnacle Peak are awesome. after some concern about being wedged into a very very tight table between a window and another huge table we were moved thanks to our fantastic waiter--truly we could not even get in and out of our chairs without disturbing the table beside us. Our waiter was terrific and our meal was excellent. The cocktails amazing. Highly recommend. 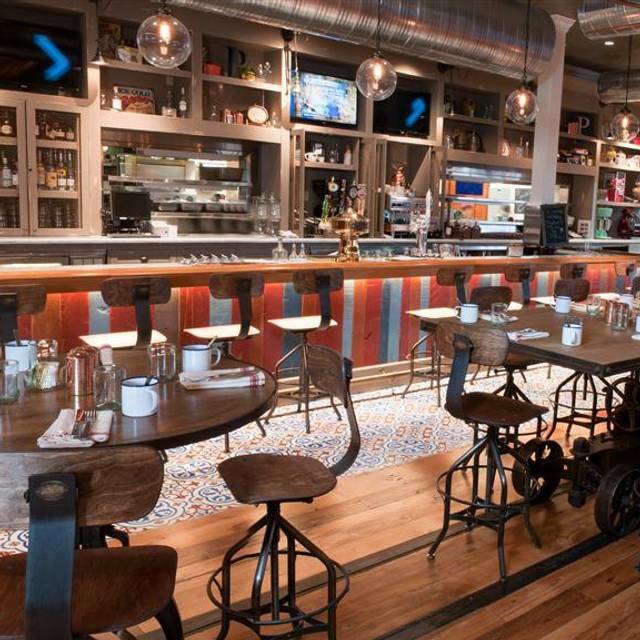 Proof is fast becoming one of our favorite restaurants. The service and food just keeps getting better and their drinks...dont get me started. Wonderful dining. Enjoy. My daughter and I absolutely loved Proof. The service and ambiance are outstanding. The food was so delicious. Well we back very often. Proof is always excellent. They are on the rotation which means that we go every week. They treat us great and we love dining there. Drinks are terrific. Great service. My wife and I sat on the patio. The weather was perfect, and a we had a great view of the sunset. The live music was mellow and entertaining. Food was great. We had the Smokehouse special, and the St Louis ribs were delicious. Overall, great experience. The Four Seasons rarely disappoints. The server was outstanding and the attention to detail by the server and the manager was well above what might have been expected. It was our anniversary and they brought complimentary champagne and a complimentary desert. But even without these, the service was exceptional. Highly recommend it. The menu is creative, the presentation lovely and the fact that they have seasonal additions to the menu gives you an additional reason to keep coming back. The service is great and the view is really wonderful! Always a great experience. I ate the healthy choice (salmon) and wish I would have try the comfort food instead. Burgers looked amazing but I don't eat red meat. Proof is one of our favorites. We go out every night and Proof is on the rotation. They make a great Cosmo. Wonderful salads and burgers and very good service. Heading there tonight. The service and view are great. The food in our opinion was average with pricing a bit on the high end for what it is. Definitely more of a bar feel. This was an amazing all around experience. The staff couldn’t be any nicer, great service, and delicious food. We were given a free appetizer since someone didn’t check in with us for the first 10 minutes and it was to die for!! Get the pretzel knots - you won’t be disappointed! The half chicken was the best chicken I have ever had. I would definitely return here, even if it’s just to give these wonderful people business. By and large, we had a good meal at Proof. The service was solid, and both the pumpkin and peanut butter cup pies were outstanding. Entree prices are higher than they should be, even for a Four Seasons resort, and the $26 price tag for the pasta with Sunday Sauce is—frankly—outrageous. We were a party of 7. It was my first time at the restaurant. Everyone had a very enjoyable evening. The food and service were excellent.